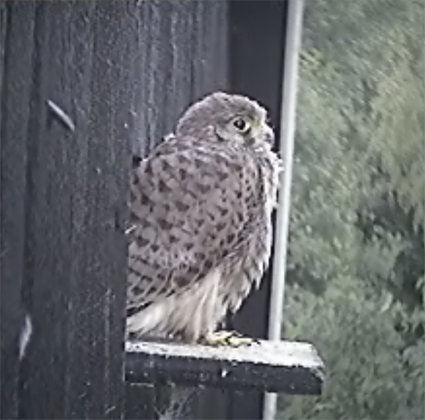 This week’s photo was captured from the Beleef de Lente kestrel cam a few minutes ago. I didn’t get much work done this afternoon because I’ve been watching a few of the chicks take turns sitting on the ledge, watching their parents fly by, nipping at bugs and preening in the wind. I’m hoping to see a fledge – I’ve got six chances. This entry was posted in Foto Friday (paused), Netherlands, Webcams. Bookmark the permalink.